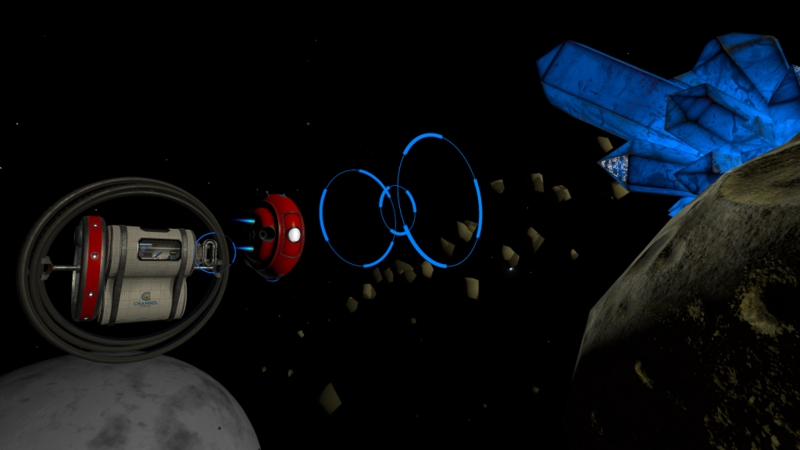 “The Cosmotic Mission” is a single player, level-based, Virtual Reality game made for the Oculus Rift. The objective is to travel around the cosmos to collect the powerful energy from crystals of a mysterious origin. 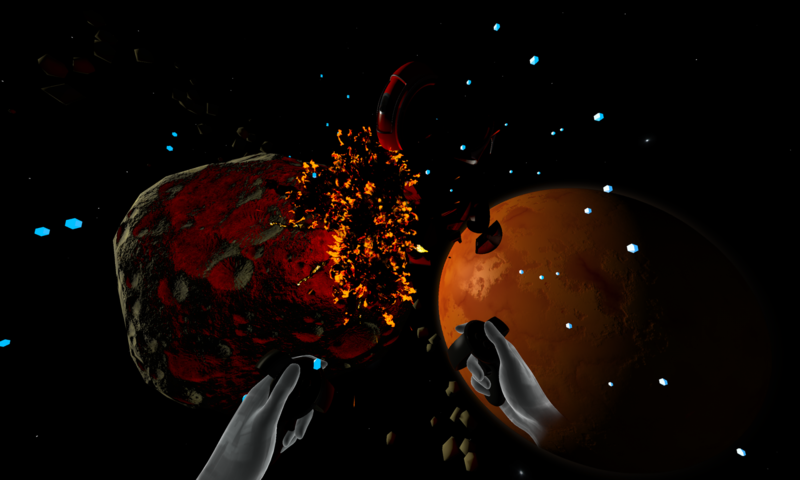 Interact with asteroids and planets, and space travel in a way that you’ve never experienced before. Oversee the game area using a VR perspective that provides a unique sense of scale. An engaging experience that is comfortable for all users, from first time gamers to veteran players. 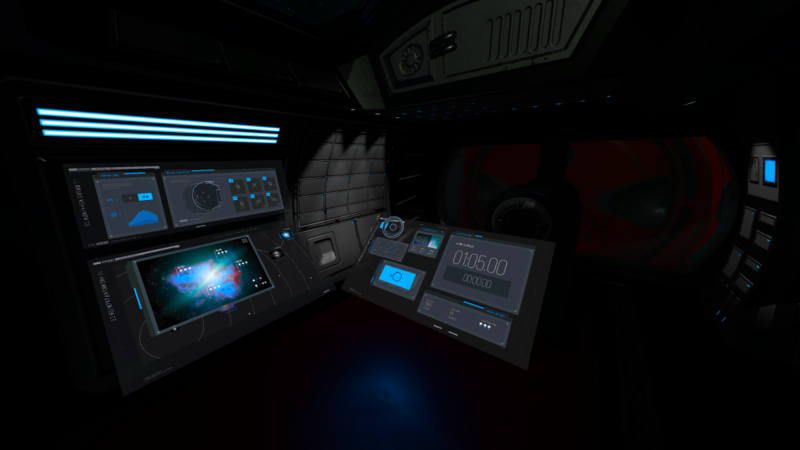 Lean out and around the scene from the commanders chair as you explore undiscovered worlds. This game was designed for Virtual Reality. The action appears to be at arms length, giving you the perfect 3D perspective to peek up, down and around obstacles as you navigate your drone. 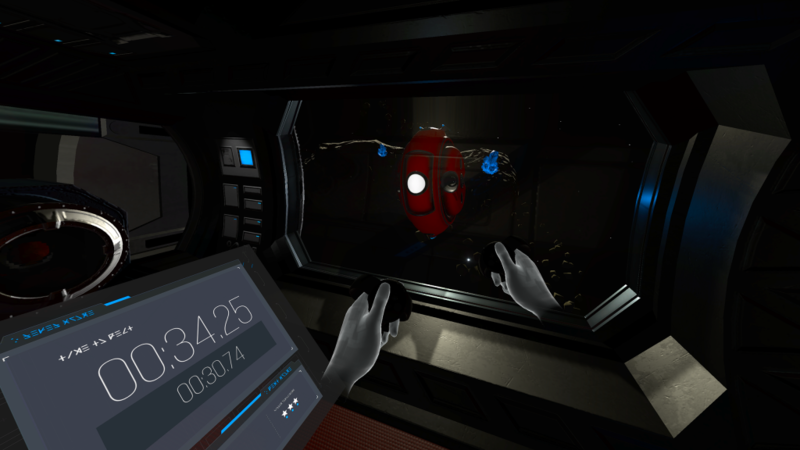 A unique outer space VR experience only this game can give you. The game dynamics include navigating an omnidirectional drone, collision avoidance and time constraints. It incorporates fun gaming strategies with the amazing possibilities of playing in a virtual reality space. 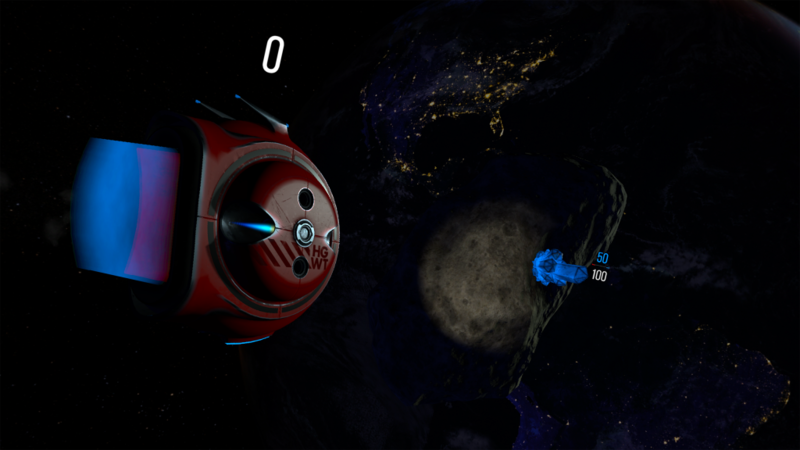 At each level of the game you collect energy to fill containers located on your space station, to unlock advanced levels. As you play you will discover which crystals to go for first and which to save for later, since the energy is always trying to be balanced. There are a range of difficulty settings that make the game easy to pick up, yet challenging to master. The harder the settings, the greater the energy collection potential and the more you can acquire. This game is projected to retail for $14.99 with Early Access for only $7.99. In the near future, a large asteroid is detected within our solar system. It is predicted to impact Mars. Arnold Deacon, an astrophysicist, calculates that there will be a shift in the projection of the asteroid, a shift explained by a rapid loss in mass and energy. This shift will make the asteroid miss Mars but, because of the effects of Mars’s gravity, the asteroid will be redirected towards Earth. The projection is calculated to send the asteroid into a perfect orbit around Earth. Months of intense planning will go on before a team of astronauts set out on an exploration mission to find out what the now satellite is made of and potentially answer why the satellite lost mass so rapidly. After successfully approaching the satellite, crystals are discovered near the poles. A few astronauts leave the space ship and go out to examine the crystals. Upon examination, a crystal becomes unstable and explodes. Unfortunately, the examining astronauts are killed. The proximity of the incident and the ship yields an enormous amount of data. They learn something odd about the explosion—a great deal of mass and energy is unaccounted for. If the crystals are close to each other, the energy slowly flows between them until their energy levels are balanced. This balancing behavior is similar to the way osmosis works, but instead of salt and water through a semi-permeable membrane, it is mass and energy through the cosmos. Scientists study this attribute and learn that the crystals could be used to detect other crystals, even those far across the galaxy. Subjected to intense magnetic fields, the energy will flow to the far away crystals at a rate inverse to their proximity. The farther away, the faster the flow. Technology is developed to allow us to travel to faraway galaxies using this property. 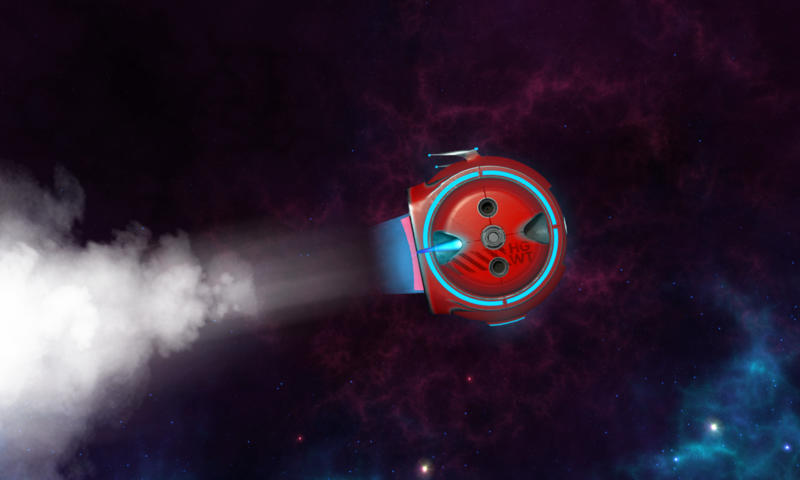 In the game, one of the survivors of the first exploration is sent on a mission to travel to the outer regions of the known cosmos using this new technology to gather more osmotic-like energy and return to Earth. This will be the first time humankind has ever attempted to bend space and time for travel. Virtual Reality: the computer-generated simulation of a three-dimensional environment that can be interacted with in a seemingly real or physical way by a person using special electronic equipment. VR has been on the horizon for years but many people don’t know exactly what it entails or have heard negative things about it, like the potential of getting motion sickness. 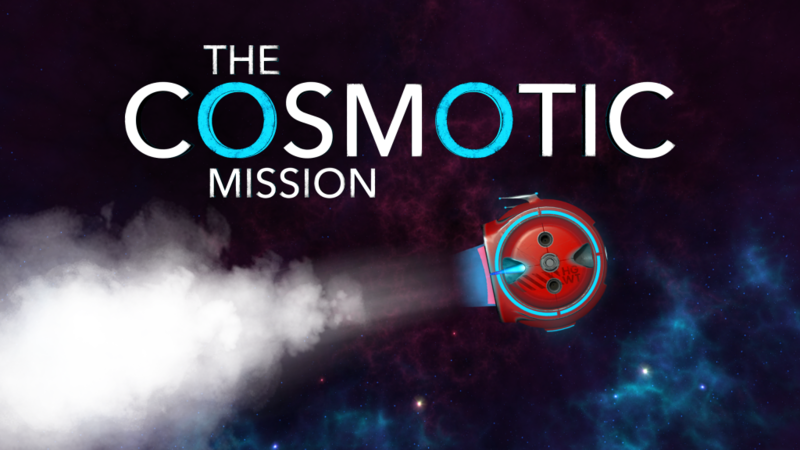 I designed The Cosmotic Mission to be an excellent choice for people that are new to this genre. There are key features that reduce the potential for motion sickness that will help you get acclimated to this new and exciting technology. You will get the full experience of being in the game that only Virtual Reality can bring. “The Cosmotic Mission” was funded by a Kickstarted on May 18th, 2017.